Keep these easy ingredients on hand for a quick dinner. 1. Heat half of the oil in a large frying pan over a medium heat and cook half the chicken for 5 minutes, until cooked through. Heat the remaining oil and cook the remaining chicken. 2. Stir all the chicken back in to the pan with the seasoning mix, salsa and peppers and cook for 5-10 minutes, until the sauce has thickened and the chicken and peppers are piping hot. 3. 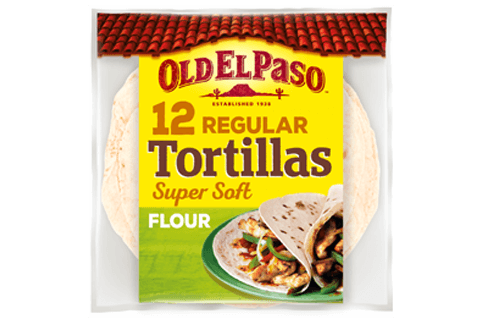 Spoon the chicken mixture into the tortillas and fold up. Top with lettuce, tomatoes, and spring onions. 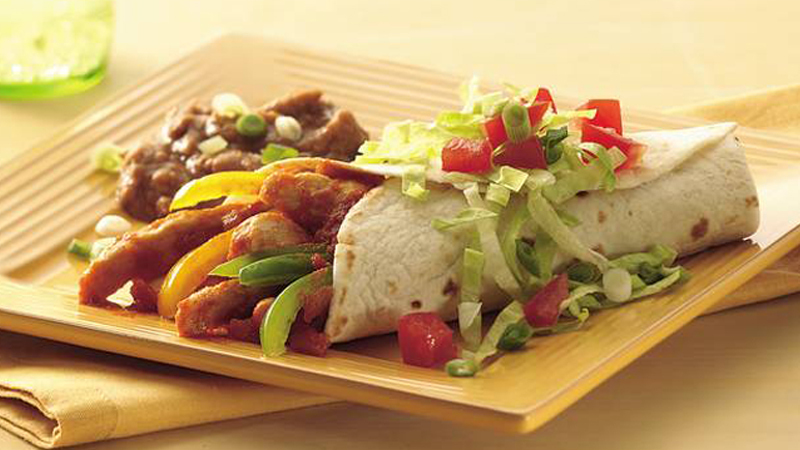 Serve with a side of refried beans. • Use beef instead of chicken for the burritos. • Serve with guacamole and soured cream.